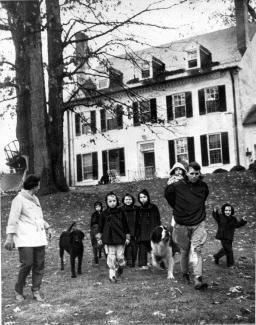 Robert F. Kennedy Jr. was born into a family of privilege: the Kennedys. Nephew of President John F. Kennedy and son of Senator Robert F. Kennedy, he could have done many things with his life, but he has chosen to fight for the environment and everyone's right to clean water and air by taking on the big corporate polluters and holding them accountable for their actions. Armed with a master's degree in Environmental Law, Mr. Kennedy "walks his talk." He asks others to do the same. Robert (Bobby) Kennedy Jr. probably learned to make his voice heard while growing up as one of the 11 children born to Robert and Ethel Kennedy. His childhood was filled with outdoor adventures: fishing with his father, playing touch football with his large family, sailing and skiing. Seemingly idyllic, life took a terrible turn when his father was assassinated while running for the office of president of the United States in 1968. Senator Bobby Kennedy was quoted as saying: "Few will have the greatness to bend history itself, but each of us can work to change a small portion of events, and in the total of all those acts will be written the history of this generation." His son certainly lives up to his father's words. He once told a friend: "We have a legacy that has been given to us, and we don't have the luxury of going out and doing whatever we want to do because we have to honor that legacy." It wasn't always so clear to him. Much like the religious epiphany St. Francis experienced after serving time in prison, Mr. Kennedy underwent a life changing realization in 1983 after being arrested on his way to a rehab center. He served his sentence of 800 hours of community service volunteering for the Hudson River Foundation. The organization (now known as the Hudson Riverkeepers) was so impressed that they hired him as their chief prosecuting attorney. The environmentalist was born. 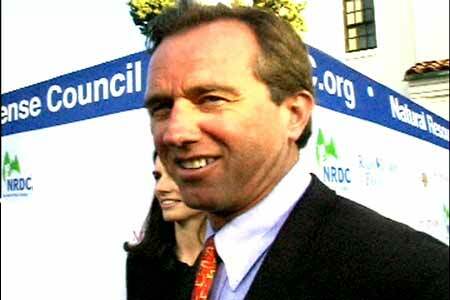 Bobby Kennedy Jr. speaks for the environment. Bobby Kennedy Jr. speaks for the environment. He is credited with leading the fight to protect New York City's water supply and has won many lawsuits against companies and governments guilty of polluting the Hudson River, Long Island Sound and beyond. President of the Waterkeeper Alliance (a coalition of more than 100 environmental groups working to protect waterways in North America), Mr. Kennedy is a clinical professor and supervising attorney at the Environmental Litigation Clinic at Pace University School of Law. It is here that he earned a master's degree after graduating from Harvard and the University of Virginia Law School. He is also the senior attorney and national spokesman for the NRDC (Natural Resources Defense Council), an organization that claims to have one client and one client only, THE EARTH. Speaking not just as a concerned father, but as an eco-warrior defending the earth for future generations, Mr. Kennedy winds poetic imagery around the often horrific reality of the polluters' plunder, reminding us all that we are connected and that it is time for action. For a man born into a family of heroes, just who is it that Robert F. Kennedy claims as his? MyHero youth reporter SLATER caught up with MR.KENNEDY in Los Angeles at the Natural Resources Defense Council fundraising benefit, "EARTH TO L.A.!" SLATER: Mr. Kennedy, who is your hero? MR. KENNEDY: "Saint Francis of Assisi is my hero because he understood the connection between spirituality and the environment. He understood the way that God communicates to us most forcefully is through the fishes and the birds and the trees and that it is a sin to destroy those things." Many of the people Slater interviewed on the "Green Carpet" regard Bobby Kennedy Jr. as their environmental hero--Meg Ryan, Ted Danson, Ed Begley Jr., Martin Short, to name a few. When asked what kids could do to help save the planet, many times Slater heard: "Tell your parents to vote for people that care about and understand how important environmental issues really are." Leonardo DiCaprio created a website for kids to help them get involved (www.LeonardoDiCaprio.org). Ted Danson told her how powerful kids are: "They got their parents to stop smoking, now they can get their parents to help save the planet." Mr. Danson also spoke about his environmental hero: "Bobby Kennedy is so passionate, so bright, so dedicated to the environment. He's my favorite speaker on the environment. Bar none, he's amazing." MyHero then watched Mr. Kennedy drop the jaws of a theatre full of Hollywood A-listers. Tom Hanks, Sheryl Crow, Jack Black, Larry & Laurie David, Diane Keaton, Willie Nelson and many, many more listened in mostly stunned silence as Mr. Kennedy exposed a long list of the environmental tragedies currently taking place in the United States. EXCERPT FROM MR. KENNEDY'S SPEECH:"What we are fighting for is not just the fishes and the birds. We protect nature not for nature's sake but for our own sake because it's the infrastructure of our communities, and if we want to meet the obligations of our civilization and our culture which are to create communities for our children that provide them with the same opportunities for dignity and enrichment as the communities that our parents gave us, we've got to start by protecting that infrastructure; the air that we breathe, the water that we drink, the landscapes that enrich us. We're not protecting nature for nature's sake. We're protecting it because it enriches us, yes, it enriches our economy and we ignore that at our peril. But it is also enriching us aesthetically, recreationally, culturally, historically and spiritually. Human beings have other appetites besides money. And if we don't feed them, we're not going to grow up…we're not going to become the kind of beings that our creator intended us to become." For the full transcript of this explosive speech, click here. Check out the following links to see what kids (and grown-ups too) can do to help save the environment. NRDC-Natural Resources Defence Council - is the nation's most effective environmental action organization. We use law, science and the support of more than 1 million members and online activists to protect the planet's wildlife and wild places and to ensure a safe and healthy environment for all living things. THE GREEN SQUAD - is a fun, fact-packed NRDC website for kids, parents and teachers. RIVERKEEPER works - to safeguard the ecological integrity of the Hudson River, its tributaries and the watershed of New York City (protecting the city's drinking water supply) by tracking down and stopping polluters. Since 1983, Riverkeeper has investigated and brought to justice more than 300 environmental lawbreakers. Riverkeeper believes in the rights of every citizen to enjoy and defend our nation's water resources. OCEANA - is a nonprofit, international advocacy organization dedicated to restoring and protecting the world's oceans through policy advocacy, science, law and public education. Founded in 2001, Oceana's constituency includes members and activists from more than 150 countries and territories committed to saving the world’s marine environment. Oceana, headquartered in Washington, D.C., has additional offices in key U.S. coastal areas, a European office based in Madrid, Spain and a South American office in Santiago, Chile. 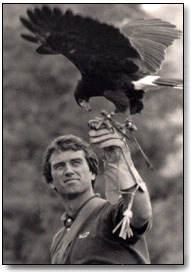 The NRDC's senior attorney, Bobby Kennedy Jr., is a licensed master falconer and, as often as possible, he pursues a life-long enthusiasm for white-water paddling. He has organized and led several expeditions in Latin America, including first descents on three little-known rivers in Peru, Columbia and Venezuela. NRDC was founded by JOHN ADAMS in 1970, long before anyone knew what an environmental lawyer was. NRDC made their EARTH TO LA! fundraising event Climate Cool by purchasing clean power from Vermont-based NativeEnergy, which will offset every ton of global warming emissions generated by the event, including all power for the sound and lights. Clean power proceeds will help build a wind farm on the Rosebud Sioux Reservation in South Dakota and support Northwest wind farms that generate energy without the heat-trapping pollution that causes global warming. The NRDC is a national nonprofit organization of scientists, lawyers, environmental specialists and public policy experts dedicated to safeguarding the EARTH: its people, its plants and animals and the natural sytems on which all life depends. 1971 - NRDC wins passage of the Clean Water Act, which allows citizens to sue polluters directly. 1973 - NRDC begins action that wins phase-out of lead in U.S. gasoline. 1976 - NRDC litigation wins limits on water pollution for 24 major industries. 1978 - NRDC wins fight to remove ozone depleting CFCs from aerosol cans. 1978 - NRDC launches fight against acid rain through lawsuit which cuts sulphur dioxide emissions by a million tons annually. 1980 - NRDC leadership helps win federal protection for one hundred million acres of Alaskan lands. 1984 - NRDC wins litigation to compel the Department of Energy to comply with environmental laws at all of their nuclear weapons facilities. 1985 - NRDC helps win adoption of national efficiency standards for consumer appliances, saving billions of dollars in electrical bills. 1987 - NRDC initiative leads to International Treaty to save ozone layer. 1987 - NRDC lawsuit forces Bethlehem Steel to pay $1.5 million in penalties for water pollution. 1991 - NRDC helps defeat U.S. Senate bill that would open Arctic National Wildlife Refuge to unnecessary oil drilling. 1993 - NRDC legal action forces two oil giants, ARCO and Texaco, to cease water pollution and pay stiff fines for past violations. 1994 - NRDC saves eastern North America's largest untouched wilderness by helping the Cree defeat the James Bay hydro-electric project. 1999 - NRDC helps win commitments from over 200 companies, including Kinko's, 3M, Starbucks, and Home Depot, to help save temperate rainforests by phasing out their use and sale of old-growth wood products. 2000 - NRDC's worldwide campaign forces the Mitsubishi Corporation to abandon its plan to construct a massive salt factory next to the last unspoiled breeding ground of the gray whale. 2001 - NRDC helps secure an agreement among logging companies, environmentalists, native peoples and the government of British Columbia to protect millions of acres of the Great Bear Rainforest--home of the rare white Spirit Bear--from logging. 2002 - Working with a coalition of environmental groups, NRDC goes to federal court and blocks the Bush administration from allowing oil exploration in thousands of acres of public wildlands next to Arches National Park in Utah. 2003 - NRDC wins a federal court case stopping the woldwide deployment of a Navy sonar system that would have blasted oceans with noise so intense it could maim, deafen and kill whales. 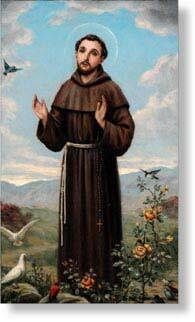 "My hero is St. Francis of Assisi because he understood the connection between spirituality and the environment. He understood the way God communicates to us most forcefully is through the fishes and the birds and the trees and that it is a sin to destroy those things." Robert F. Kennedy, Jr.